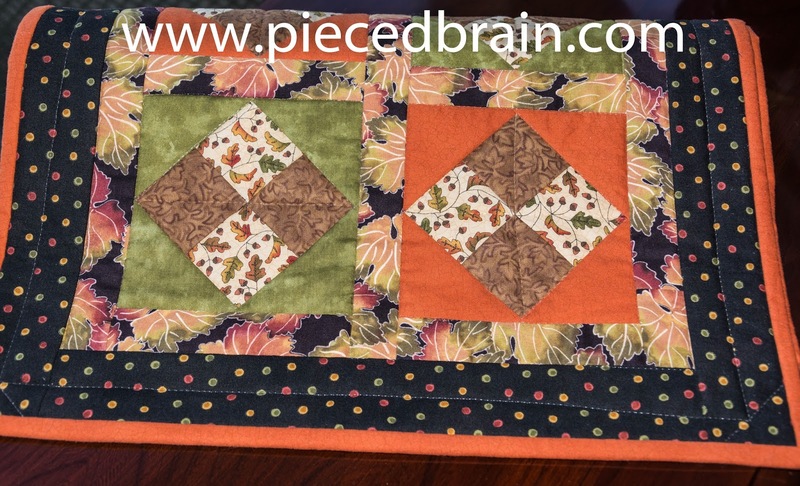 I have very few Fall decorations (I am not one to decorate the entire house according to the season, except for Christmas), and this table runner is my favorite. The block is simple but lovely, and I have used it in a few projects. The border fabric had all the colors I was using, so it had to be included. 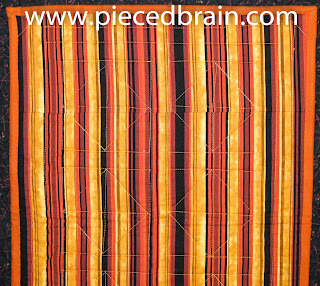 The backing fabric is wildly orange. 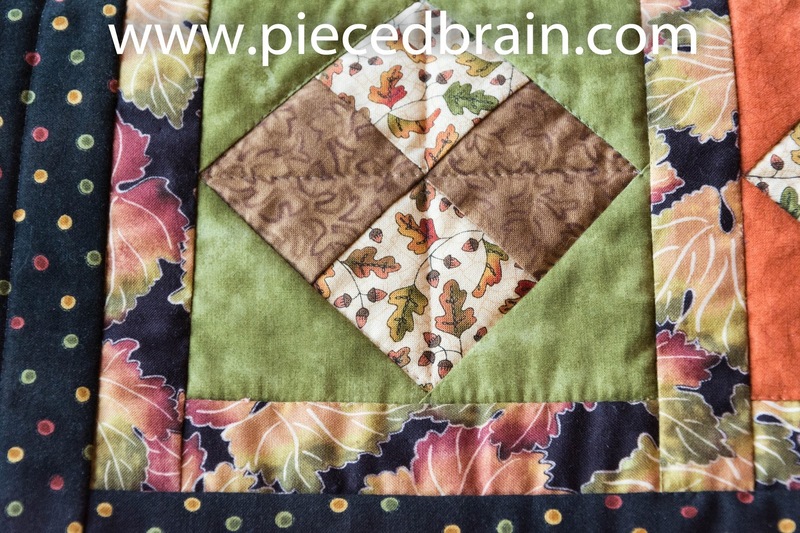 You can barely see the quilting, which followed the block lines with SITD. 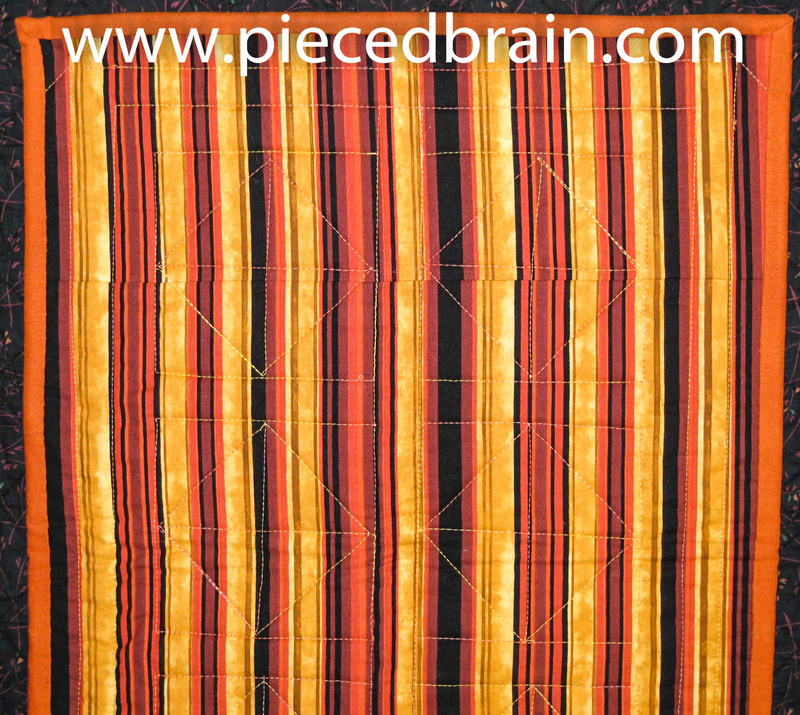 This same pattern can be used for every occasion, don't you think? My kids are off school today (what is up with that?) so I will need to double up on the Chamomile tea in order to stay cool. 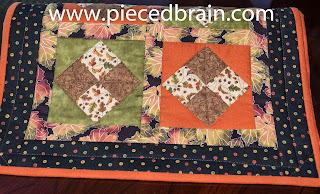 Your fall table runner is adorable ~ love the colors!! I like it too Denise !